The burden of EU mass migration has fallen unequally upon the UK as EU figures reveal a migrant worker increase more than twice that in any other EU country. The EU and in particular Eastern Europe, Germany and France are in no position to make dictatorial demands about EU migrant worker rights post Brexit in the UK and it is about time the government made a stronger response to this moral blackmail from EU oligarchs. Official EU eurostat figures taken from the European commission “2016 Annual Report on intra-EU Labour Mobility” show that in 2015 EU migration to the UK had grown by 32% since 2013 more than double the increase in Germany who experienced the second highest increase. 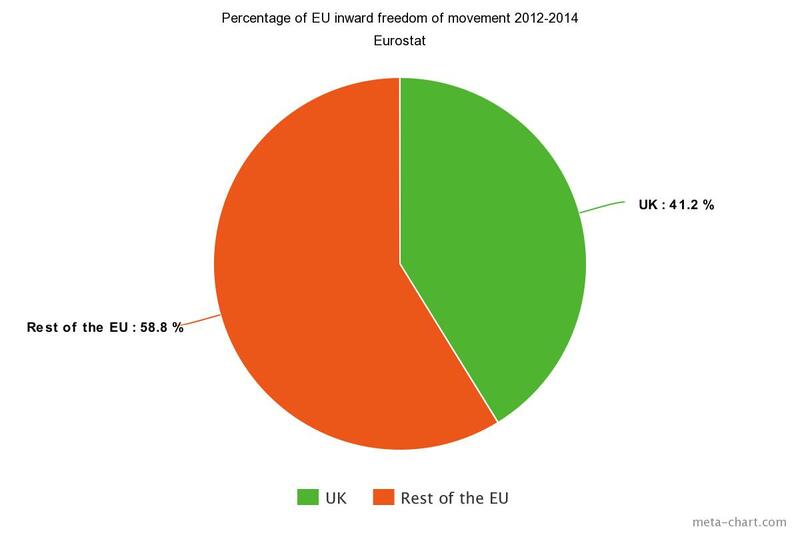 Over the same period dictatorial France had a 10% reduction in EU migrant numbers despite having three times the landmass of the entire UK. 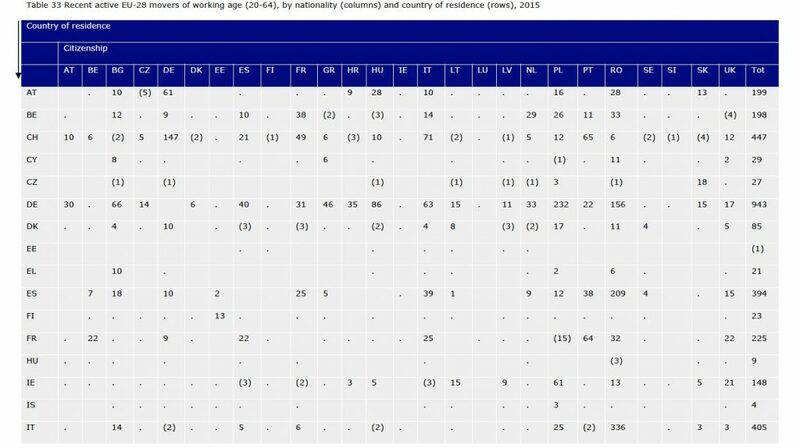 While in 2015 France had received just 5.1% of all EU migrant working age ‘recent movers’ (resident for less than ten years) the UK had received 33.1%. 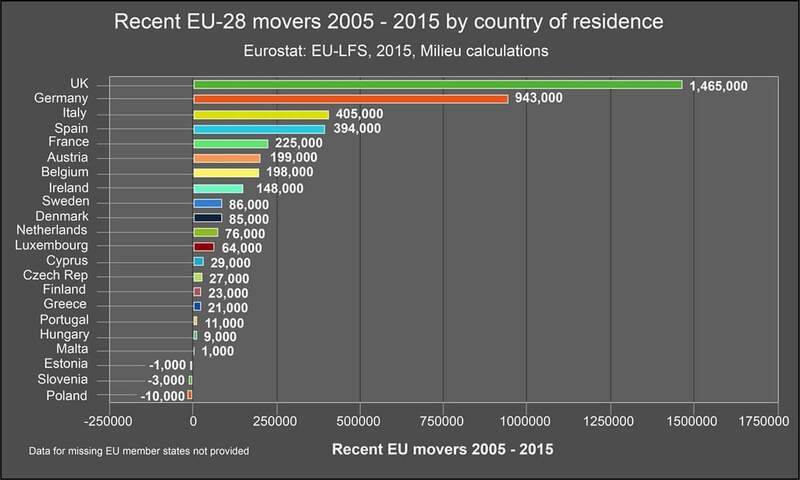 In the period 2012 to 2014 the UK received 41.2% of all EU internal migration. With vast swathes of the entire EU subcontinent taking disproportionate advantage of UK, or to be more statistically precise, England’s liberal tax credit, housing benefit and child benefit rules and NHS services the negotiating high ground should be with the UK. Employment statistics are irrelevant without accompanying household statistics showing how many adults per residence, how many work and for how many hours, how many children are resident and how much is paid in benefits. In Greater Manchester alone over £1 billion is paid in in-work tax credits every year and the City of Manchester only managed to increase taxes collected by 1% between 2005 and 2015 despite a huge growth in the population. 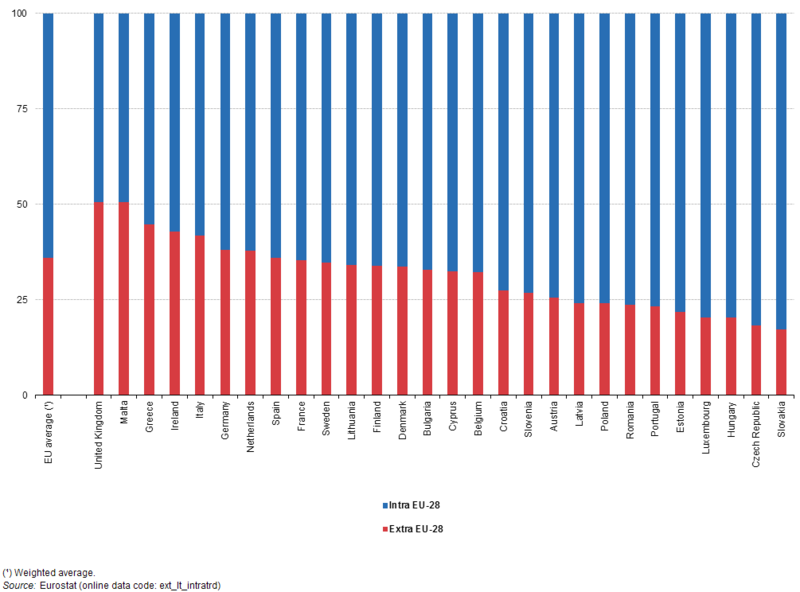 Eurostat data shows that low paid workers in the UK contribute less taxes than they would in every other EU country except the island of Malta which has a population of less than half a million and Ireland. 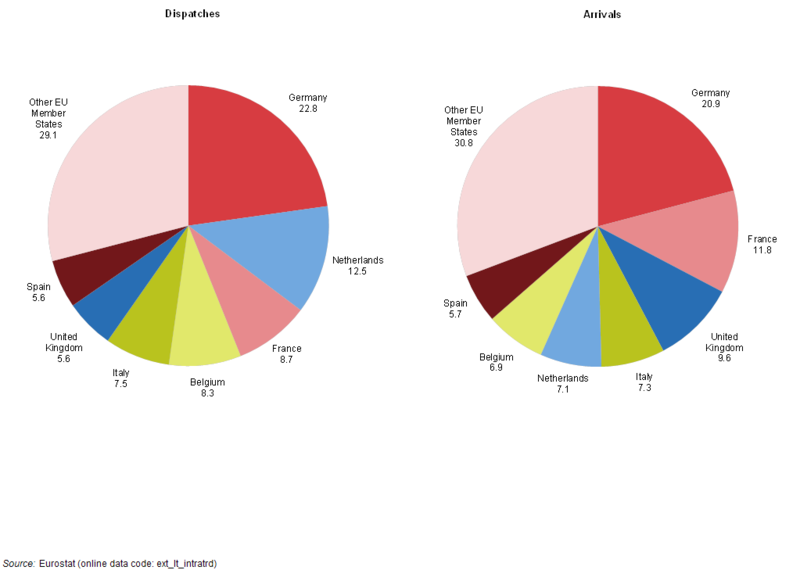 In 2015 the UK had received 84% of all recent EU migration from Ireland, 63.3% of all Lithuanian migrants, 52.2% of all Polish migrants, 44.1% of Spanish migrants, 35.1% of Portuguese migrants, 24.6% of Bulgarian migrants and 14.4% of all Romanian migrants. Just 7 of 28 EU member states are responsible for 70% of all EU internal trade in goods which leaves 21 anti-UK posturing nations with at best a very minor ability to cause the UK any problems. 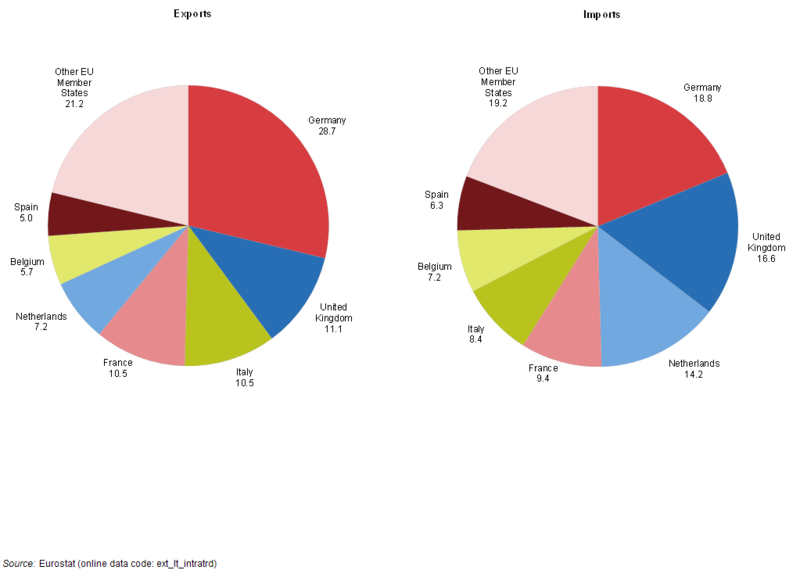 The UK has only a 5.6% share of EU internal exports but has an 11.1% share of EU trade with the rest of the world. That makes the rest of the world twice as likely to buy UK goods than our supposed EU member partner countries. The UK needs to take advantage of private sector negotiators and non-political representatives from the wider Commonwealth nations who are far more experienced in the mechanisms of trade negotiations than our less than robust political frontliners and not so constrained by restrictive political correctness. By 2017 the UK already does a larger share of trade in goods outside the EU than inside.